Are you staying at the Killarney Park Hotel, Great Southern Hotel, The Europe Hotel, The Dunloe Hotel, The Muckross Park Hotel or any other Hotel/accommodation in the greater Killarney area?. Why not treat yourself to a private tour with a knowledgeable professional tour guide from Classis Ireland Guided Tours, a leading provider of exclusive tours in the Killarney area. Killarney, nestled in a beautiful valley of lakes and mountains, is not called ‘Beauty’s Home’ for nothing. Visitors have been coming to this area for over 200 years. It also has a wide variety of accommodation for visitors, the town has the capacity to accommodate 13,500 people each night. 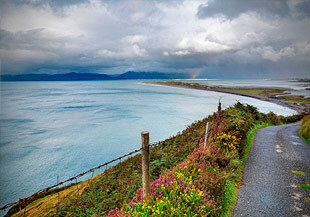 (1) The Ring of Kerry. 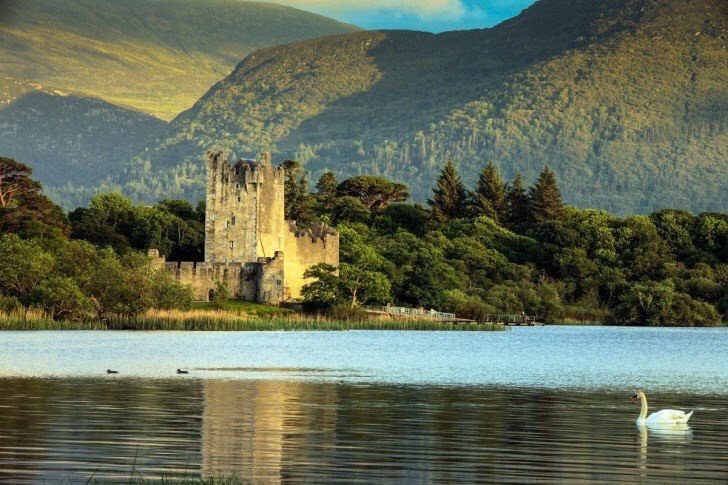 Easily Ireland’s best know driving route, The Ring of Kerry offers the visitor the unparalleled coastal scenery of the Wild Atlantic Way, and on the latter part of the route, breathtaking views over of the Killarney Valley and Killarney National Park. Our tours also incorporate ‘The Skellig Ring’ into this tour, allowing the visitor to experience views of the now famous Skellig Islands, recently of ‘Star Wars’ fame. This is a very popular day tour and in high demand all year around. Never fails to impress and a dream for photographers. 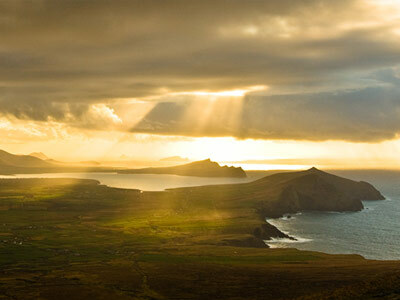 (2) Dingle and Slea Head. Another very popular tour taking in the magical atmosphere of Dingle Town and the stunning coastal scenery west of the town on the Slea Head Drive. This area, made famous in the epic film ‘Ryan’s Daughter’ enthralls the visitor by exposing what Irish life was like a century ago. It remains primarily a Gaelic speaking area. 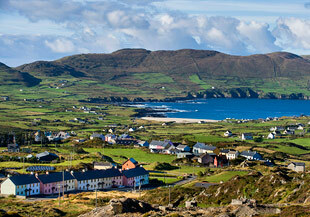 The tour allows time to experience Dingle Town, well worth a few hours exploring. (3) Beara Peninsula: a lesser known route but you won’t be short changed as regards the scenery and ambience to be found. Highlights are the drive through the Healy Pass and the optional visit to the beautiful manicured gardens of Garnish Island. Every year demand for this tour increases as word spreads. A most enjoyable day out. (4) Blarney and Kinsale. A visit to Blarney Castle and Gardens , Ireland’s second most visited attraction is a firm favourite. Of course it presents the challenge to ‘kiss the Blarney Stone’. 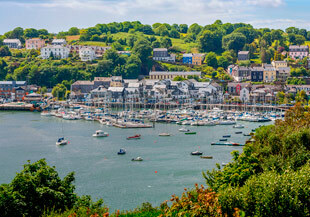 Our tour then takes you to the charming coastal town of Kinsale, Co. Cork. This town is a real gem. Famous for its restaurants (lovely for lunch) it’s narrow streets contain a myriad of craft and other shops. The Spanish influence on this town becomes apparent from the minute you arrive. Highly recommended as a wonderful day out. (5) Cliffs of Moher. Ireland’s most visited attraction worth 1.5 million visitors last year, can only be described as awesome. Our tour takes you there by the Shannon ferry and you will follow the County Clare coastline all the way north until you arrive at the Cliffs. A firm favourite with our clients each year. Apart from the above, Classic Ireland Guided Tours will tailor a day tour specifically to meet your needs. Maybe you have some other location in mind?. All our tours are private to you, you will not be joined by strangers. And you will have a highly knowledgeable guide, and a luxurious vehicle for your tour. Your tour awaits you!. Visit our website: classicirelandguidedtours.com. Check us out on TripAdvisor.